Follow your passion, create your own destiny, work with the people you want and make your own hours! Doesn’t this all sound appealing? If you already have a skill you can always do consulting or hire yourself out as an independent contractor to those needing your services. But what if you don’t? Then you need to produce something of value that others want to purchase. I started off in direct sales and it gave me the fundamental building blocks to create my own business. With a direct sales company you can become an independent contractor selling their products, telling their story and using their marketing material. In most cases it’s pretty easy to get started, you purchase their kit and call all your friends to have a party. Notice how I put the emphasis on “THEIR”? You will be selling THEIR company to YOUR friends. You will usually receive about 25% of the profits but you are required to purchase their monthly special items to demo at your parties which eats up most of “YOUR” profit. The opportunities to start your own business are limitless. You can start a business on a shoestring budget and make good money to support your and your family. To become an ENTREPRENEUR you will need to be able to work independently and motivate yourself, set goals to achieving success and be passionate about what you do. Be organized, have a strong desire to create and not afraid of failure. Every month about 1 million people are going through a job loss, changing their careers or adding a second job. If you are relying on your income to pay the bills you can still start-up your own company NOW. That way when it becomes profitable you can quit your day job and work FULL TIME in your own business. I see it all the time. It took me about 1 year before I was able to quit my day job and work full-time in my own business. You can do it and I can help you pave the way to success! The annual gross sales of 250,000 soap making business range from $5,000- 10 Million. Many are second businesses but some are FULL TIME successes. You will need to work hard and have your eye on the prize. If you are ready to put in the hard work and reap the benefits of your business join us for our next Weekend Fast Track Soapmaking Business Workshop on September 20-21, 2014. Learn everything you ever wanted to know about soap! We will teach you how to make the soap and how to get into business branding it, packaging it and selling it!! Don’t miss this fabulous class and start your own business selling soap today! Learn simple techniques to making soap and having a product you can sell while you learn about the ins & outs of starting up your own company. Learn how to have your own website at a fraction of the cost of traditional methods, build a product that will sell in your market, tips on photographing your product to sell online, craft show displays, unique ways to package your new soap and a special demonstration on how to use the SOAPMAKER PROGRAM. Receive superior classroom instruction with hands on soapmaking from Michelle Rhoades, a certified soapmaker with the Handcrafted Soap and Cosmetic Guild. Learn everything you ever wanted to know about soapmaking. We discuss all the methods and give you step by step instruction on how to make cold processed soap. Learn from a certified experienced soapmaker who will walk you through the chemistry behind the soapmaking so you will fully understand soapmaking from the oils to the cured soap. 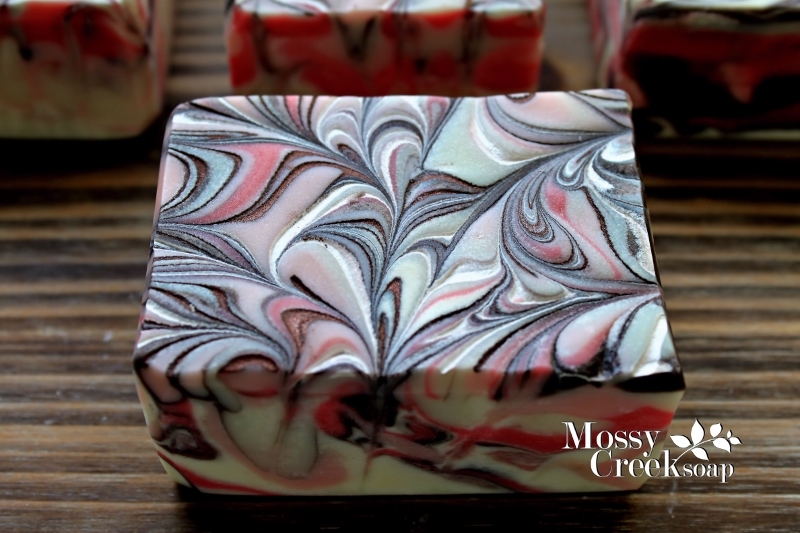 BONUS- Learn the easy way how to make milk & fruit soaps. We will teach you how to make a creamy milk soap and a wonderful fruit soap using a simple fluid replacement method. Receive our tested recipes and a booklet with step by step directions necessary for successful milk & fruit soapmaking. We will begin promptly at 10am on Sunday morning with how to start your own bath and body Business workshop. Find out what supplies you need for Soapmaking, how to effectively sell your new soap, tips on how to get started selling online, how to start up on a shoestring budget and start making money right away, find out where to get your supplies, where to sell your soap and Do’s and Don’ts for Craft Shows. Don’t miss this informative class~We will share with you the tools needed to help you succeed in your new business. Build your own brand recognition through package design and product presentation. Learn how you can start up on a shoe string budget and be successful. You will go home with an arm load of fresh soap that we made in class, soapmaking booklet (soapmaking recipes, charts, step by step directions to help you get started once you get home) and information on all my trusted suppliers!